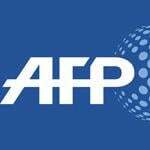 GENEVA: The office of Switzerland’s attorney general said Friday it had suspended a federal prosecutor in connection with investigations into alleged improprieties in the world of football. The attorney general’s office (OAG) said the suspension was linked to “investigations into football and FIFA”, but stressed it had no connection to recent so-called Football Leaks revelations of meetings between high-level OAG and FIFA executives. In a statement, the OAG said it had received “information about complaints” against the head of the federal prosecution’s economic crimes division, named by Swiss media as Olivier Thormann, leading to his suspension.Thormann was suspended “temporarily from all of his duties until further notice”, the OAG said, without specifying which specific investigations the prosecutor had been working on. There are many possibilities. Since a raid on a luxury hotel in Zurich in May 2015 led to the arrests of a number of FIFA executives and revealed the corrupt, ugly underbelly of world football, Switzerland has pursued a number of cases. Charges have been pressed against former FIFA president Sepp Blatter and former UEFA chief Michel Platini, as well as against FIFA’s former Secretary General Jerome Valcke. Swiss investigators have also searched UEFA’s offices in Nyon concerning revelations made in the so-called Panama Papers over a broadcasting rights contract signed by the organisation’s former secretary general, Gianni Infantino, the current president of FIFA. The latest series of Football Leaks allegations meanwhile shone a light on Infantino’s relationship with another Swiss prosecutor, Rinaldo Arnold, spurring Swiss authorities earlier this week to announce an investigation. Infantino allegedly invited Arnold to attend the World Cup in Russia, the 2016 FIFA Congress in Mexico and the Champions League final in Milan that year, in exchange for organising meetings with OAG chiefs.The OAG said Friday its suspension of Thormann was not linked to the latest revelations. It said it had appointed a special prosecutor to help clarify the situation.